Its that time of year again! Winter cold is right around the corner and with the rising energy costs, we can take a few basic steps and less than 1 hour, to make sure we winterize our own homes. Did you know that there are 5 main areas where all your expensive heat is lost? Lets look at those areas and see where we can make improvements. The 5 quick and easy steps below show you how to prepare your home for the high cost of energy this winter! More importantly, keeping some of those high energy costs in your pocket! If you would like to add to this list, please use the comment form below! Winterize your Hot Water Tank! Most hot water tanks are located in a basement, outdoor storage area like a garage, or even in your attic. Imagine if you stood in your garage all night long… you would get cold too! Wrapping your hot water tank is likely the easiest and quickest way to conserve energy in your home! The water stays hotter in the tank longer, thus reducing the need for energy to maintain the temperature! The doors on the outside walls of your home are the one main barrier between the cold weather and your nice, toasty warm, interior. If you have air leaks around the edges of your door, you are essentially letting dollar bills flow out around the edges! To test your doors – close them tightly and have a helper shine a flashlight around the edges. If you see that light come through any of the edges, open the door and check your weather stripping in the areas the light came through. If it is cracked or broken, look into either replacing it completely, or for a quick fix buy a small weatherstripping kit, and just cut out the bad section with a utility knife, and replace it with a matching sized piece, from the new one you bought! Don’t forget to check the bottom of your doors as well! Drafts can sneak in without you even knowing it! You know all those electric outlet plugs that rest on the outside walls of your home? They are one of the BIGGEST energy thieves out there! Those on the inside walls are fine, as they are in the conditioned space of your home… but on the first cold morning, walk up to one of your outer wall outlets and put your hand onto it. I bets its pretty cold! Fortunately, there are nice little insulation plates made to fit perfect and seal off those energy theives! They install in less than 5 minutes each and provide IMMEDIATE relief over that lost energy! Your home HVAC System may have duct work that runs through your attic or crawlspace. If that duct is not tightly sealed, you can imagine all the warm air just blowing into your attic or even worse, directly outside! Ductwork inside of walls is not AS important, as it is dumping directly into your conditioned space! The attic and crawl space however, are not areas you live in, and should not be getting any of that warm air! Turn on your blower fan at the thermostat, put on some dirty clothes, grab yourself a roll of handy Duct Tape and head into your attic first. Follow all the areas that your ductwork runs and check it where it connects to either another duct piece, or right at the furnace plenum. While you are doing this, inspect all the duct to be sure the outer insulation is at least R4 insulation! 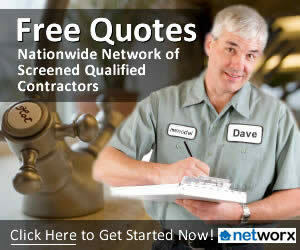 If its not, it may be time for you run some new duct! R4 is on the way out and most cities now require R6 in new homes, you can imagine how inefficient the older R1 and R2 are! Check out Flex Duct at Home and Beyond for great deals! Surprisingly, many think that because the attic stairs are inside the home, they do not waste energy! On the next hot or cold day, just put your hand on them to feel the difference in temperature! They are energy HOGS! Alternatively, a new product is on the market that allows you to seal the entire area with a Attic Blanket of sorts, that seals off the entire unconditioned attic space from transferring to your stairs at any time! There are mainly two sizes to choose from, that cover all attic stairs! Nobody has the time or energy to check every section of their home to prepare for winter, but these 5 simple steps above, can be done in an hour or two, and save you alot of money n heating bills this winter! Did you like this story? If so, please bookmark it below or recommend it to a friend! How else do You Prepare for Winter in your Home? There is a much better solution to the attic stair problem than the battic door cover. 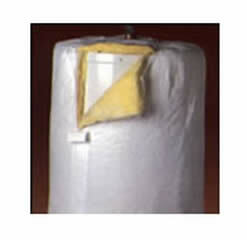 Check out the Attic LadderMate at http://www.Insulated-Covers.com. It seals and insulates the attic stairs or attic ladders from inside the room and eliminates the need for finish trim around the opening on new ladder installations.